This is a wonderful artbook for fans of Ratchet & Clank. 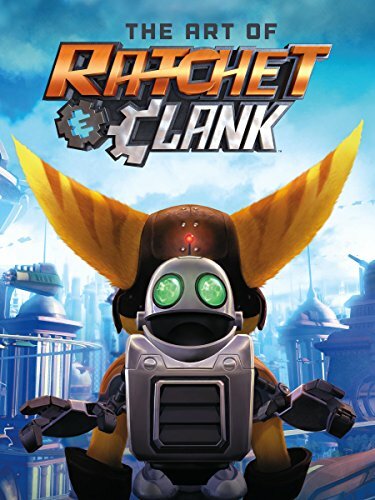 It's a huge 248-page hardcover that features the concept art for the Ratchet & Clank games, from the first that was released in 2002 to 2013's Ratchet & Clank: Into the Nexus. The art is really nice, and I like that they have packed so much variety in style. There are rough sketches, fully illustrated and coloured characters and digital paintings. The character designs look great. There's this comic or cartoon-like style that's so appealing. I love the dynamism in the designs and there are so many interesting characters. The book also features art for environment and weapons. The only downside is since there are so many games, it's quite impossible to fit all the art into a single book without making it even thicker. There's no doubt that some art or section has to be dropped. But overall, it's still a terrific collection of art. Highly recommended for the fans and those who like this style of art. Check out pictures of selected pages below.